Getting in the zone is a beautiful thing – that feeling when music seems to almost play itself, when it really feels new. Just like you do a lot of preparation and practice as a musician to get there, when you make instruments, you’re endlessly learning how to make help people find that zone. And that’s ultimately why I feel lucky to be involved in making instruments as well as making music – with CDM generally, and with our own toes in the water, MeeBlip. Now, as it happens, people are making amazing things with the MeeBlip (alongside the other gear we talk about). Who says there’s too much music or too many musicians – or too many synths? Watching this, we want more of all of it. And so here you go – out of all the many jams, here are a few favorites that surprised us and that might inspire you. Don’t forget to join in. We ship MeeBlip worldwide direct from the workbench, where they’re tested and assembled by the person who designed them (James Grahame). 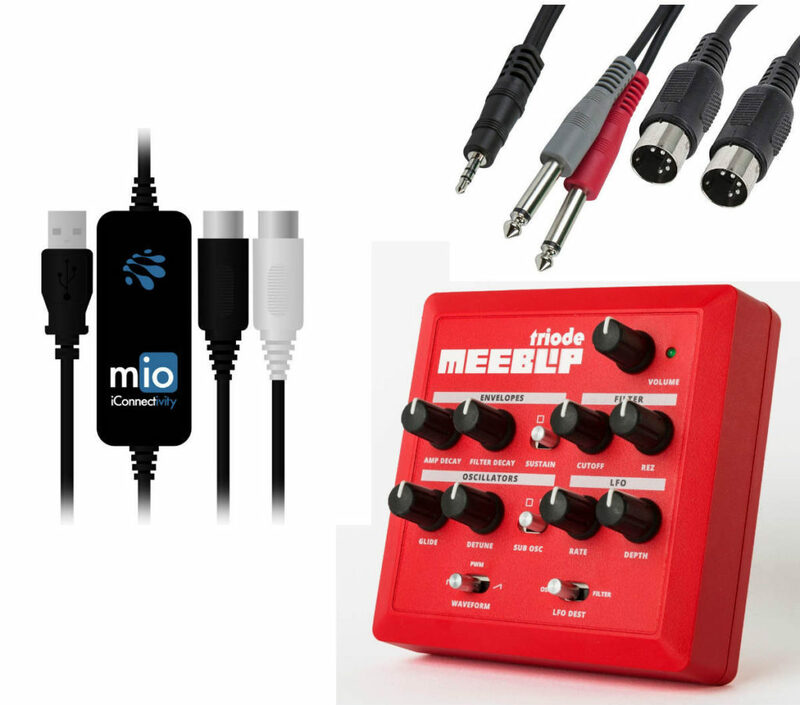 In addition to our just-announced free editor, we’re offering a deal on everything you need for triode – cables and USB MIDI interface (Mac/Windows/Linux) – in a bundle, now with $40 off. Casio XW-PD1 sequencing the Twisted Electron AY3 and the Meeblip Anode. The AY3 gets a Behringer RV600 verb treatment, and the Anode gets a Moozikpro analog delay treatment. Drums coming from the XW-PD1. 8 patterns in all. triode, volca and mfb sound parameters, XR-18 mixer levels and x0x bio-arpeggiator settings. I’m going to close again with Olivier, whose inspired others to jam along by championing Jamuary. And I think that’s the whole point. While the rest of the industry worries how to produce stars, we can all learn from one another. And we’d love to hear from you – what music you’re making, and what the MeeBlip project could do for you, both as open source hardware and as a product line.